This display reference design featuring TI's DLP2010 (.2 WVGA) DMD chipset, was designed to enable ultra-low power and ultra-mobile display applications either embedded inside a system (e.g. smartphone, tablets etc.) or as a standalone accessory module. The chipset used in the design comprises of DLP2010 ( .2 WVGA) DMD, DLPC3435 display controller and DLPA2005 PMIC/LED driver. 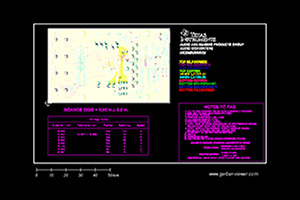 This reference design is tested and implemented on a EVM available for purchase on ti.com and includes firmware, GUI and getting started guide.